To give a little perspective, at the end of 1993, the club had a little over 100 members, including family members. Lou was President, Bev Wolcott was Vice President, Charlie Schrader was Treasurer and Gerry Dauer was Secretary. Officers met in early March 1994 to begin planning. At an early planning meeting, it was decided Lou would make an excellent MARR director, a post he would hold for five years. While a great many people took part in planning and organizing that first MARR, the consensus of those involved is that Lou was the driving force that made it happen. Others prominently involved included Bev, Charlie, Gerry, Dave Barnes, Charlene Holloway, Walt Tucker, Mel Wicks, Diane Dauer, and Pat and Ray Squire. There were several meetings to kick around ideas. Pat remembers an early meeting at Dave Barnes’ home. Mel recalls meeting at the Frisch’s Big Boy on Reynolds. The final decision and commitment to organize a ride came at a Pizza Hut on Glendale at the Southland Shopping Center. Bev says she felt so excited on the drive home after that meeting “because we were actually going to do it after all the talk!” The committee met every two or three weeks thereafter at Lou and Bev’s house, where pizza was always served. TBTS would co-sponsor the initial tour with the Defiance, Ohio chapter of Mothers Against Drunk Driving (MADD). 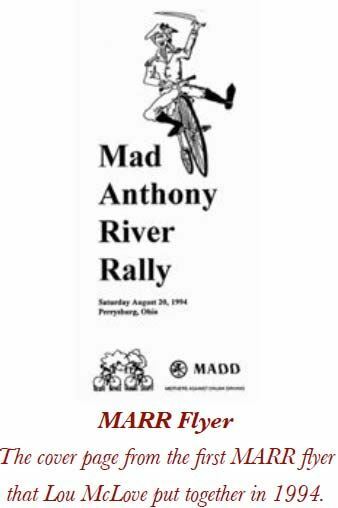 The ride served as a fundraiser for MADD, and would continue to do so for several years. Registration was $8.00 for individuals and $20.00 for families ($12.00 and $30.00 after August 6). Students were $2.00 less. T-shirts could be purchased for $8.00, or $12.00 after August 6. 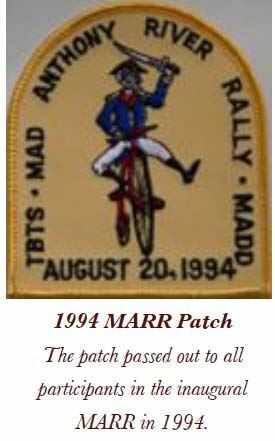 All riders received a souvenir ride patch. Bev served as the coordinator for lining up volunteers for the first several MARRs, and she was also the person to whom registrations were mailed. Gerry was the Rally Rest Stop/Lunch Director for the initial ride in 1994, and put out a call for cookies and muffins. Tasty homemade cookies have been a staple of MARR from the very beginning. Bev notes that Gerry’s pasta salad also was a delicious treat in the early MARRs. When you think about it, this was quite the undertaking, considering it was a brand new event with nothing in place and only about six months to pull it all together. Although several members had served as volunteers for TASSLE, and Pat Squire and past TBTS President Jack Lykes served on the TASSLE board (Pat also helped organize Hostelling International’s Portage River Tour), putting on a ride of this magnitude was new to most all of the club members. Of course, they had seven or eight large coolers to use (see the history of TAB under the “About” tab). The ride began at Ft. Meigs School on Ft. Meigs Rd. in Perrysburg. Mel recalls that the location was very nice, but didn’t offer showers after the ride. That’s a perk we’ve been able to offer at MARR’s Perrysburg YMCA starting point. 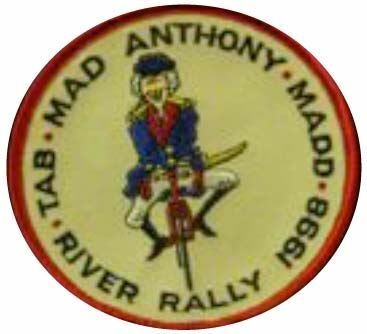 The August 20, 1994 ride date coincided with “a major historical festival at Ft. Meigs and an Indian Wars reenactment.” The ride boasted several local as well as a few national sponsors. They included Arnie’s, Bell, The Bike Route, Cargill, Coca Cola, Graphtron, Tipps Illustration, Trek and University North American. Mel mentions that Terry Waltzer from The Bike Route set up at the school to help riders with any minor repairs/adjustments to get started. Coke provided soft drinks. It pretty much became a tradition to donate leftover food to the Cherry Street Mission. The first year of MARR was a big success, with 363 riders, 120 of whom signed up the day of the ride. Of riders who marked what they would ride, 36 were on the 10-mile route, 60 on the 25-mile route, 150 on the 62-mile route and 70 rode to Defiance on the 100-mile route. Seven states were represented in addition to Ohio – Connecticut, Illinois, Indiana, Michigan, Pennsylvania, West Virginia and Wisconsin. If Charlie Schrader didn’t mark all the routes in the early years, he did the bulk of the marking. 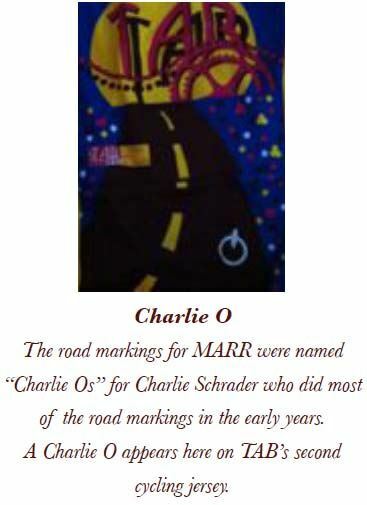 In Charlie’s honor, the symbol used at MARR every year to mark the routes came to be known as a “Charlie O,” which you can see illustrated at the left. And do it again they did. The second year, ridership was up 20 percent to about 450 participants from 10 states. MARR 3 attracted over 500 riders. The next year was about 450 riders again. But after MARR 4, things began to look a little iffy. Lou and his core committee had been leading MARR from the beginning, and it was time for some others to step into the leadership shoes. Mel penned an article in the November/December 1997 Seat Post, saying rumors were circulating that MARR 4 might be the last. Volunteers were needed to keep it going. But nobody stepped up. The rumors were real, but Lou and the other organizers agreed to stay at the helm one more year. MARR 5 was another success, but what about going forward? The answer came from a rather unexpected source – a new member – TAB’s current Membership Director, Ron Toneff. In an article for the December 1998 Seat Post, Ron wrote that a new MARR committee had been formed, which in addition to him included Chuck Nicewonder, Gerry and Diane Dauer, Jeff and Kathy Armstrong, Greg Lockrey, Sue Wilson and Mark Packer. And the group kept the tradition strong, as MARR 6 attracted 343 riders. 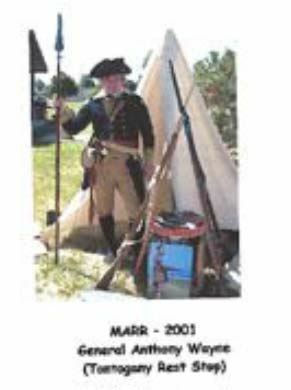 Ron went on to serve as MARR’s director for four years and then came back to co-direct MARR in 2007. Fortunately, back in 1998 he felt it was important that TAB continue to put on MARR. It appears that every MARR has at least broken even. The low point for number of riders may have been the 159 in 2003. Pre-MARR, a two-day event the weekend before MARR, began in 2005. Over the two days of Pre-MARR, TAB members ride all the routes that riders will ride the following weekend to make sure road markers are in place and no construction or resurfacing has messed up the routes and/or route markings. A nice lunch has also been a part of Pre-MARR, graciously assembled by a few TAB members who don’t ride those days or ride a shorter route. On Saturday, August 3, 2013, MARR celebrated its 20th anniversary, co-directed for the fifth year in a row by Linda Posadny and Debbie Tassie. 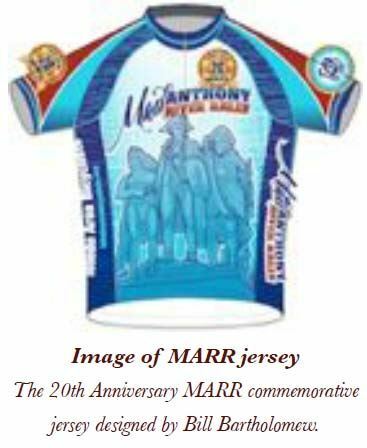 Registrants that year had the opportunity to order a 20th Anniversary MARR jersey, elegantly designed by TAB member Bill Bartholomew. 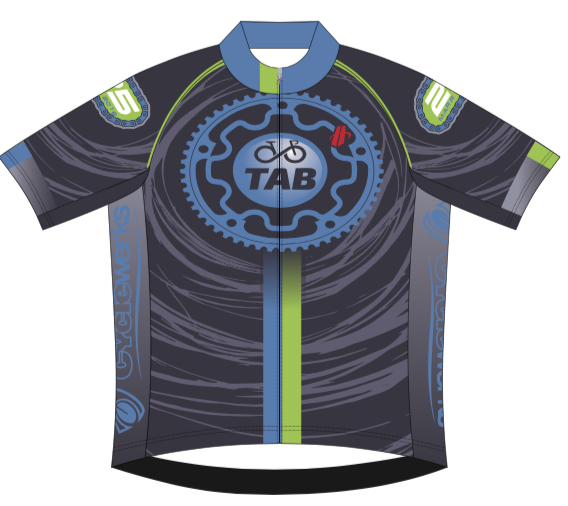 It’s one of several times Bill has generously volunteered his design skills for TAB. 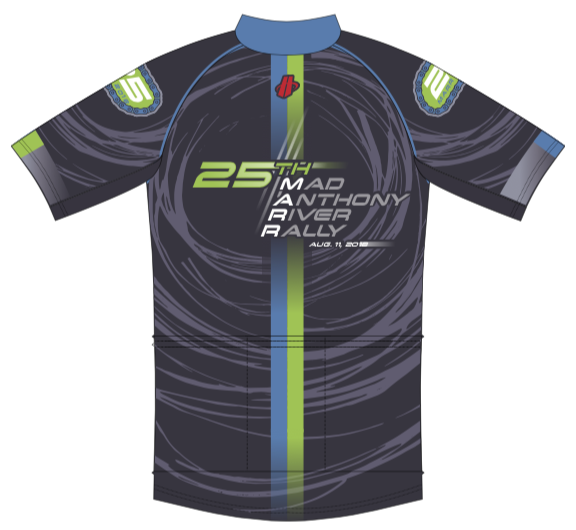 The Mad Anthony River Rally has become a premier cycling event in northwest Ohio and can compete proudly with any other one-day tour you’ll find. It’s all due to those who have stepped up to lead and all the others who graciously have volunteered their time for the wide variety of tasks that need to be completed to be successful. To all those who have volunteered in the past, thanks from the TAB board. If we can keep getting members to lead and volunteer, MARR can celebrate another 25 successful years. And thank you again to the early TAB members who provided their memories for this history.